I am not a writer but I wanted to share some thoughts in regards to the Wembley Arena show and my view on Nepali music, in brief. I've been promoting all sorts of live music in London for sometime. Few years ago I began to wonder why aren't there any good concerts for Nepali music? Every Nepali music event I went to was not about the music, tho it was being promoted as a 'music event'. It was more about the speeches, politics or selling food and drinks. More money is spent on everything else besides music. That is why Nepali music shows has not developed how it should despite the wealth of talent and the rich musical heritage. I have seen 'A' grade musicians perform in restaurants next to a buffet table while simultaneously operating the backing track themselves. It really breaks my heart to see that. It does not take a lot to respect the artist and create a decent condition even if he or she were to perform with a backing track. The reason for that is most of time the people who organize music events are not from 'music business/production' background. They don't understand how to put on a proper music show, whatever the budget. Most importantly, they are not passionate about music let alone delivering a quality show. The only thing they care about is profit. That is why despite of all the potential we are lagging behind..lack of investment. Music artists are looked at as an excuse to sell food and drinks. Another important thing is we don't respect the audience either. 'Its just for the Nepali audience..whatever will work'. That thinking is wrong. I believe everybody deserves to experience music in the best way possible weather you are poor or rich. When pricing the ticket for Wembley Arena we made it accessible for everyone. It was the cheapest pricing compared to other shows that take place there. For example Sonu Nigam's show starts at £35 and goes up to £100. I was also warned about Nepali audience time and time again. Nepali audience has a bad reputation for being violent, creating problems and so on. Its not articulated but that is mostly because they feel the sense of disrespect by the organisers who by default have the attitude that 'its for the Nepalis whatever will work' . The reason I mention that is because there was no fights, no problem whatsoever at the Nepathya concert, because the whole show was well organised. Every minute was thought out properly and programmed. The audience were completely lost in the performance and the music, there was no room for problems. Everyone in there were having a great time. Most of the time when there are problems its because the shows are badly organised, the sound is crap etc etc., people get pissed off cos they are not getting the quality for what they've paid….hence why not punch that guy who's been staring at the girl that I fancy? which seem to be rather more entertaining option than the show it self for the guy who has had bit too much to drink. Result of which the whole event gets jeopardised. When you start creating right conditions for the musicians to deliver there music and create an environment where the audience is getting what they've paid for then there will be no problem. Its that simple but it takes a right team of professionals to do that. Kiran Shrestha dai, Nepathya's manager also elaborated this point to me even before the show and he was right. Nepali music is great, be it contemporary or roots. We need more investment in Nepali music from the business community but without too much interference in the artistic process. That is why we didn't have any sponsors for the show. Does that make sense? It absolutely does not but we felt it had to done to achieve what we wanted. We need sponsorships but they need to also respect the integrity of the creative and artist process of the show. Nepali musicians and promoter need see the bigger picture. We need to stop being selfish and start promoting Nepali music as a whole so that everyone can benefit. Share your contacts, your resources, promote each other. We need to snap out of this leg pulling culture. If we don't then we're not allowing real growth. We need to join the international music movement, establish our identity, be original, know what's out there now and start having a meaningful interactions with wider international music community. In that way we create solid platform for Nepali music and create opportunity for all. Like how the African and Latin musicians have done. 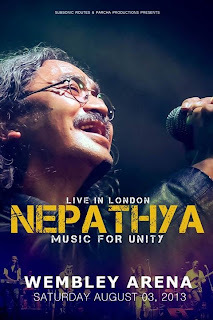 Few days ago.. a long standing dream to see Nepathya on a major international platform was achieved. Personally, for a band like Nepathya, I feel we are only half way there in terms of the over all delivery of the show. There's definitely more we can do. 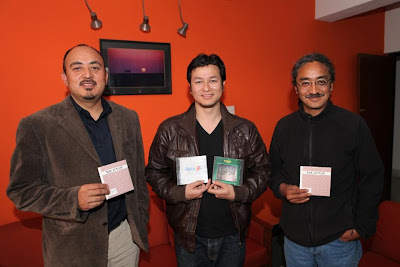 Nevertheless it was a great achievement for Nepali music and I am absolutely chuffed about it. Music business and production done properly is not easy. There are people who have spent there entire life perfecting there skills on whatever aspect of the industry they belong to. We need to recognise the importance of investing in these people..the professionals. Will you let me come into your restaurant and start taking over the chef's job just because I make great fish curry at home? We need a change of attitude, and that is when we can create shows like the one we had at Wembley Arena... in fact even better shows. 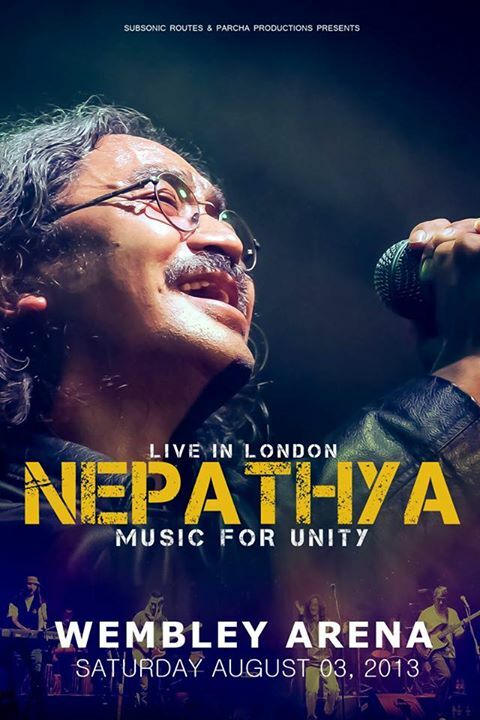 Nepathya at Wembley Arena proved that our musicians are more than capable of performing at the highest level. Our audience have been waiting way too long for a show like that. We need to invest in shows run by professionals to support our artists who deserves the best condition to deliver there music to even more deserving fans of music who pay for it. I shall carry on with my mission to create quality music shows for my fellow musicians and audiences. I have complete faith in quality. Musicians and audience are two side of the same coin, both needs to treated well. There's a huge potential for Nepali music, we need more support and investment to achieve that potential. on this entire historic concert. Shubha Giri is the Founder, Promoter, Producer, Agent at Subsonic Routes and the man behind the NEPATHYA concert in Wembley Arena. The concert is regarded to be one of the historic concert in Nepali Music internationally.